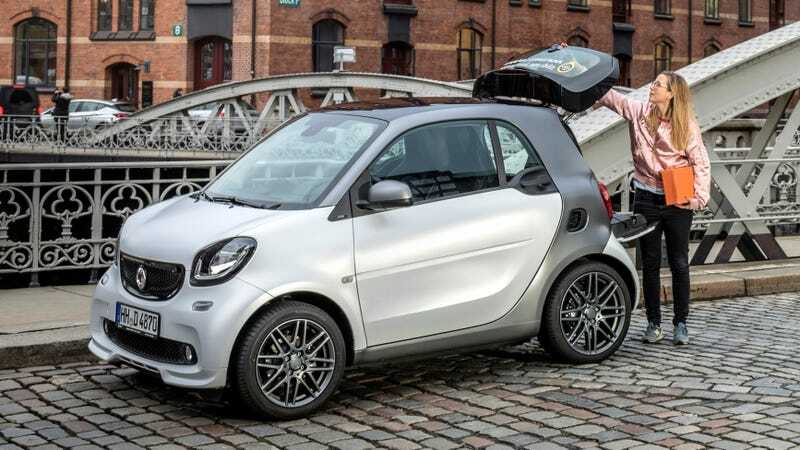 Yesterday, we reported that Daimler’s Smart microcar brand might have been on its way out because Renault was reportedly considering not re-upping the current joint-venture. But don’t mourn just yet because there might be a savior on the horizon. That savior is reportedly the Chinese company Geely—the same company that owns Volvo and recently saved Lotus, meaning that, should it also save Smart, this could officially be a trend. Geely’s stewardship of Volvo, in particular, has been impressive, as the Swedish company has continued to sell boatloads of cars and has also expanded production into the U.S.
With Smart, Daimler is reportedly closing in on a deal to sell a 50 percent stake in Smart to the Chinese conglomerate, according to the Financial Times, citing unnamed sources. The outlet also points out that the two companies have worked together in the past with a joint-business of ride-hailing services in China. If this deal is finalized, I’m not sure what plans Geely would have for Smart. Would it just give Smart a bunch of money and let it be its best, like it did for Volvo? Would consumers respond well to that? Or are there other plans?